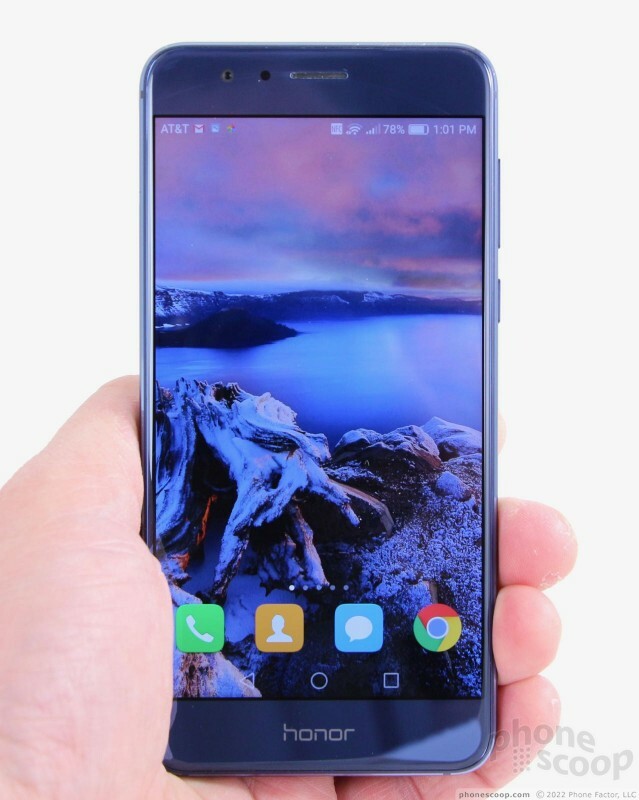 The Huawei Honor 8 is a high-quality piece of hardware that's surprisingly affordable. It competes well with a handful of other $400 unlocked phones from the likes of Alcatel, OnePlus, and ZTE. The Honor 8 boasts top specs, an attractive glass-and-metal design, and Huawei's Emotion UI on top of Android 6.0 Marshmallow. 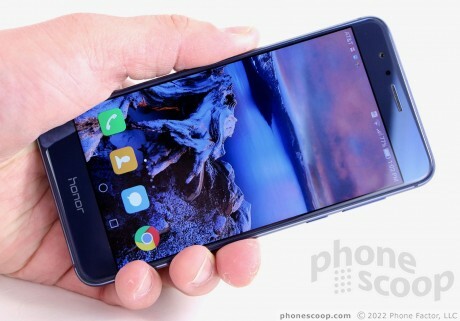 Here is Phonescoop's in-depth review. 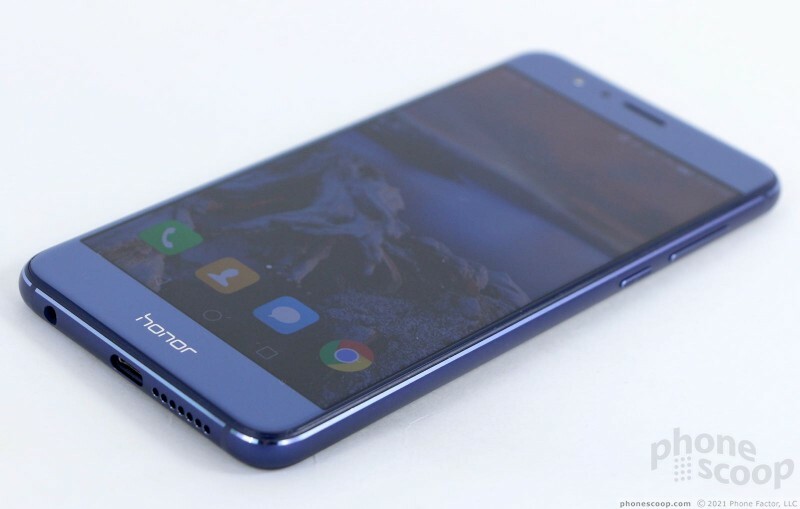 The Honor 8 is a premium device that competes against other unlocked handsets such as the OnePlus 3, Alcatel Idol 4S, and ZTE Axon 7. If you want near-flagship quality for hundreds of dollars less, the Honor 8 from Huawei is a good place to start. The Honor 8 is an attractive glass-and-metal handset that packs a lot of punch into its compact frame. 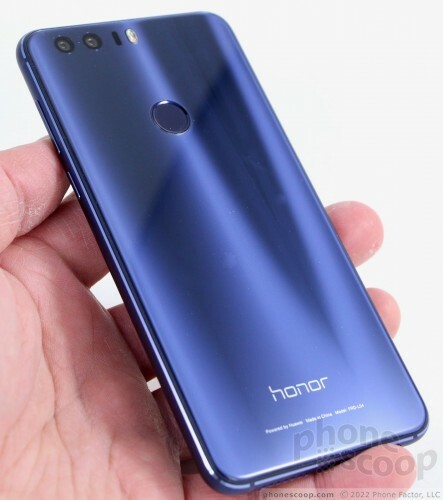 The Honor 8 steps away from the conventional gold, silver, or black coloring found on many premium phones in favor of a deep and appealing blue. The phone's shape may be a bit on the plain side, but the coloring and quality materials lend the phone plenty of personality. The phone is similar in shape to the iPhone 6. It has rounded corners and curved side edges. The frame is made out of metal and has nice chamfers along the edges where the metal meets the glass front and rear panels. Huawei curved the glass right at the edges, which really helps round out the sides and give it a seamless look and feel. Both glass panels have a reflective blue coloring. It really dazzles in sunlight. The metal frame is color-matched to the glass. The phone stands out, and that's an achievement these days. I really like the footprint of the Honor 8. It's smaller than the Axon 7, Idol 4s, and OnePlus 3 thanks to the slightly smaller screen (5.2 inches compared to 5.5 inches for the others). It's right on the border as far as one-handed use is concerned. I was able to use it with one hand effectively enough, but people with smaller hands may find themselves using two hands. I'd call it a bit on the weighty side, but the heft conveys quality. The phone is comfortable to hold and use, though it doesn't sit too deeply in your palm thanks to the flat-back design. 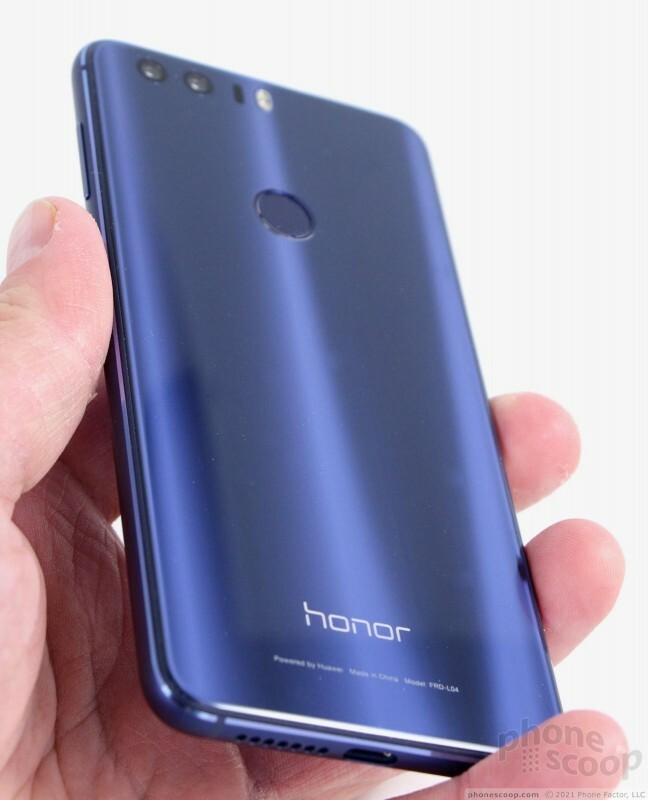 The Honor 8 is slim and somewhat slippery thanks to the polished glass surfaces. It will drop into pockets easily. It's also prone to sliding off surfaces that aren't entirely level. Materials and build are excellent. Huawei's Honor brand isn't historically known for top-level components, but the Honor 8 is a quality piece of kit. The glass panels fit into the metal frame snugly and demonstrate Huawei's attention to detail. I appreciate the slim bezels that allow the display to run nearly edge-to-edge. 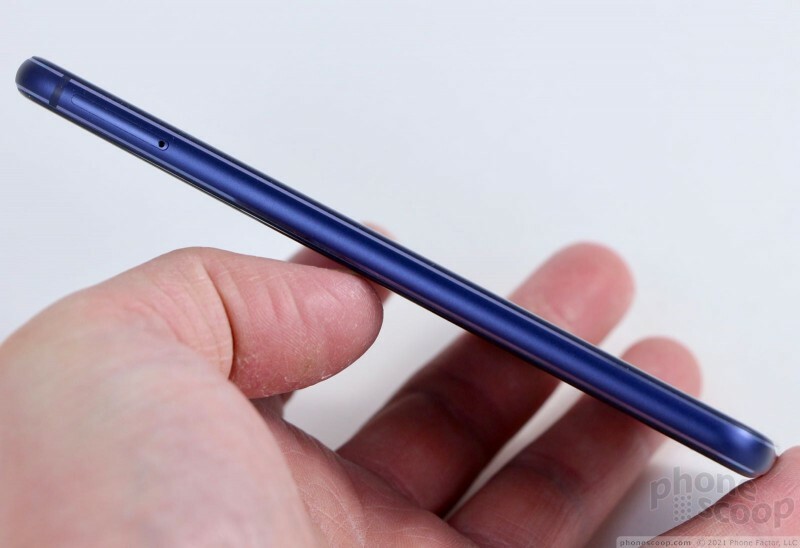 Huawei was able to minimize the framing around the screen. There's also a notification LED. The phone doesn't include physical or capacitive buttons and instead relies on on-screen buttons to control the Android user interface. 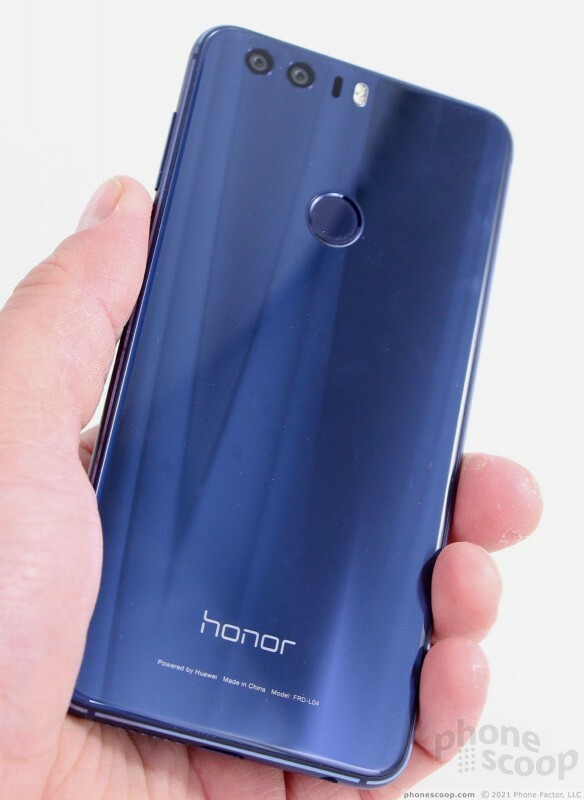 This left Huawei room to stencil the "Honor" logo in reflective chrome below the display. 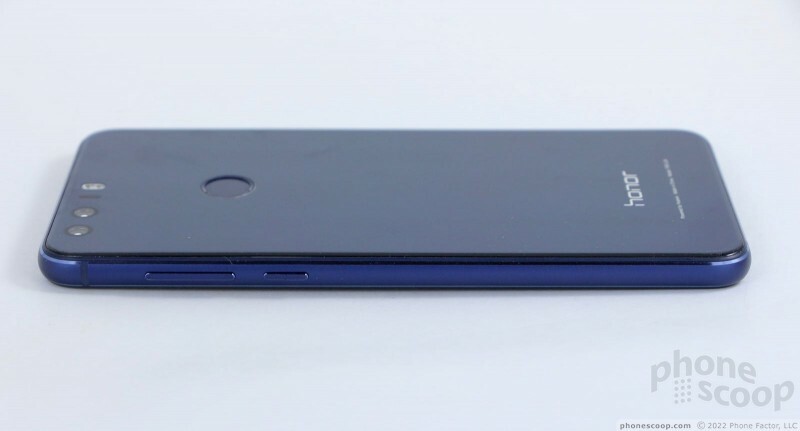 The left edge of the phone is where you'll find the SIM card tray. The tray can also hold a memory card. It pops out easily enough with a SIM tool or paperclip. The lock button and volume toggle are on the right edge. It's a small button and yet easy to find, thanks to the generous profile. Travel and feedback are good. The volume toggle is a narrow strip that also has a nice profile and good travel and feedback. I like that the buttons have their own chamfers to help them stand out a bit visually. An IR blaster (rare for phones these days) is just barely visible in the top edge of the phone. The bottom edge is a busy place that resembles a number of other handsets, such as the iPhone 6s and Galaxy S7. A USB Type-C port is centered in the middle. Remember that USB-C is less common still than micro-USB, but it is being adopted more widely these days. Accessories should catch up before long. A series of holes are drilled to the right of the USB port for the speaker. A standard 3.5mm headphone jack is to the left of the USB port. 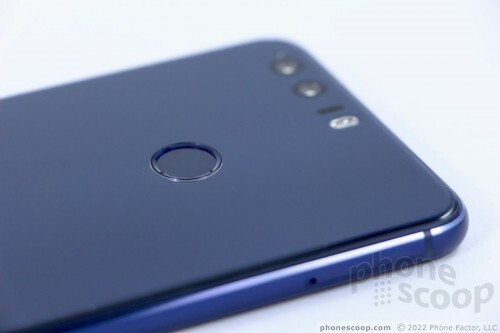 The fingerprint reader is the most visible aspect of the rear panel other than the nice color. The reader is circular and indented enough so that it's easy to locate by feel. The reader doubles as a user-assignable shortcut key. The double camera array is tucked up against the top edge. The array consists of two side-by-side lenses, a laser focusing module, and a two-tone LED flash. I like that all the components of the camera are flush with the rear surface; there's no bulge. 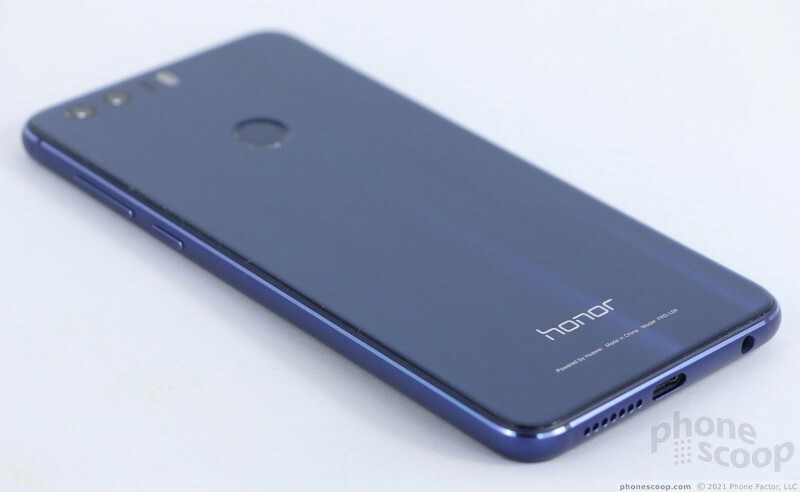 The Honor logo is stenciled in chrome on the back, too. Like most glass-backed phones, the Honor 8's battery is inaccessible. That may be a dealbreaker for some, but I'd argue that it shouldn't be. The Huawei Honor 8 is a fine, fine piece of hardware. Not only is it on par with its direct competitors, but it matches the quality of many devices that cost much more. 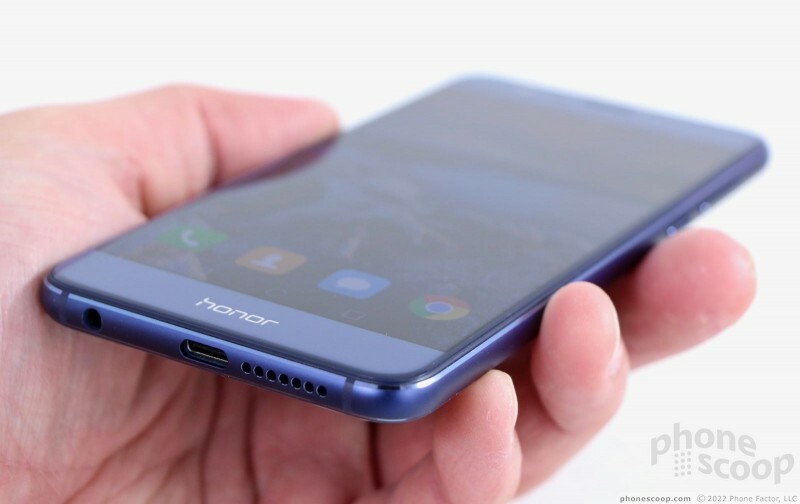 At 5.2 inches across the diagonal and 1080p full HD resolution, the Honor 8's screen is smaller and has fewer pixels than those of the Idol 4s, Axon 7, and OnePlus 3. I don't think the phone suffers for it. The Honor 8's LCD screen is bright, sharp, and colorful. I was pleased with HD video on the display, as well as the clarity of small text on web pages. As long as you avoid VR, it's plenty sharp. I was able to use the phone outdoors with no problem, but found the auto-brightness tool to be lacking. It simply doesn't adjust enough for a bright environment. 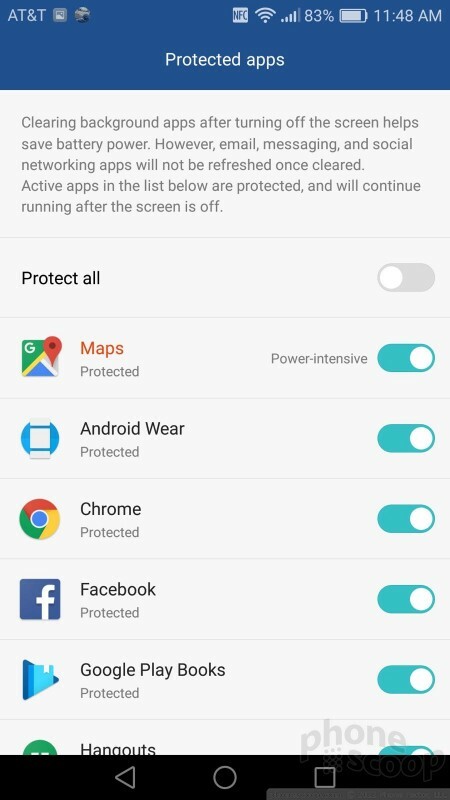 You need to boost the brightness manually to see the screen when under the sun. Viewing angles are excellent; there's no brightness loss or color shift when the phone is tilted side-to-side. The Honor 8's screen is quite good. The phone is sold unlocked with support for the LTE networks of AT&T and T-Mobile, and their prepaid businesses Cricket and MetroPCS, respectively. Specifically, it supports LTE in bands 1, 2, 3, 4, 5, 7, 8, 12, 17, and 20. I tested the Honor 8 on AT&T's network in and around New York City and found the device performed well, but perhaps not as good as a branded AT&T device would. For starters, the Honor 8 was more apt than other AT&T phones I've tested in recent months to miss or drop calls. 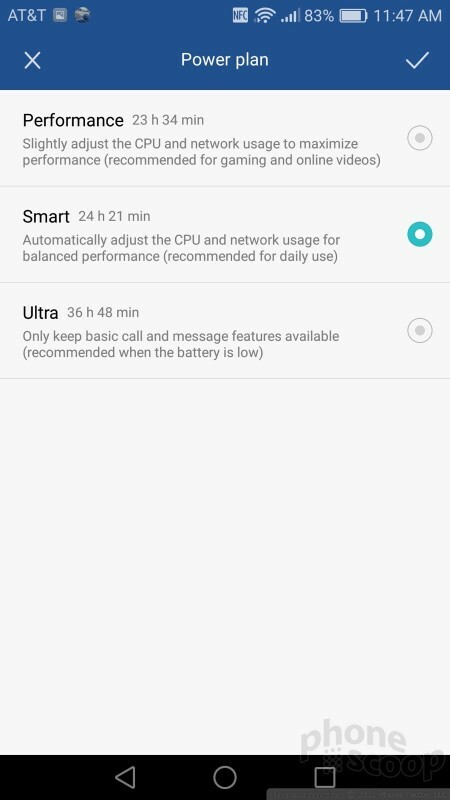 It disconnected calls when at highway speeds over a 10-mile route, and I had several calls go straight to voicemail even though I was in a good coverage area. As for data, mobile broadband speeds were good, but not mind-blowingly so. The Honor 8 did well enough when it came to Google Search, checking email, following my Twitter or Instagram feeds, or catching up on Facebook. It wasn't as strong as I would like for streaming media, such as YouTube and Spotify, which were prone to halting from time to time. The phone doesn't perform poorly, but it could perform better. The Honor 8 is a decent voice phone. The earpiece produces a ridiculous amount of volume. In fact, you may damage your hearing if you set the volume up all the way. Voices are generally good, but boosting the volume too much introduces a lot of distortion. Setting the volume to about 75% strikes the best balance for quality. If you do boost the volume up, you'll be able to hear calls in very loud spaces, including moving cars, city streets, coffee shops, and so on. People I spoke to through the Honor 8 said I sounded a bit scratchy. The speakerphone is also quite loud and prone to distortion. You can blast out calls in your car and hear them quite easily, but you may not understand every word. As with the earpiece, setting the volume between 50% and 80% delivers the best results. Ringers and are jarringly loud. I easily heard the Honor 8 ringing even though I was on another floor in my house, behind a closed door. The vibrate alert is good, too. The Honor 8's battery matches that of its competitors milliamp for milliamp. It packs a 3,000 mAh power cell that delivers a solid day+ of uptime. 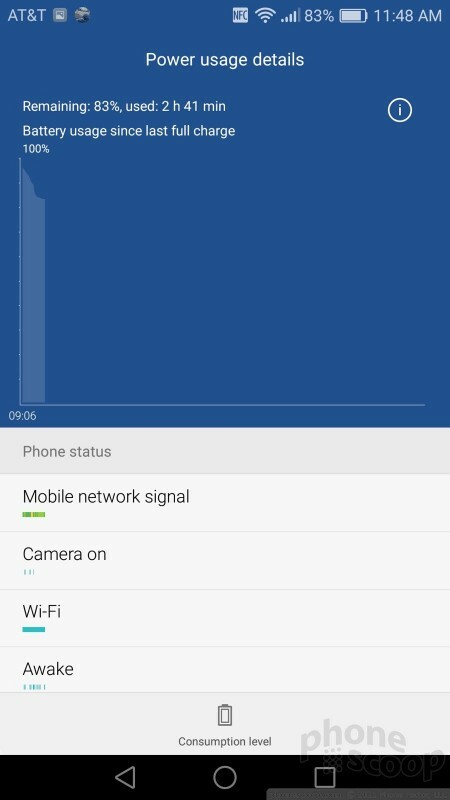 I was pleased with the Honor 8's battery life and never found myself running low on power before the end of the day. The phone generally had about 20% of a charge left at bedtime. Most people should not have any trouble pushing through a full day with the Honor 8. The phone includes an extensive array of battery-saving tools. For example, the phone can be set to run in three separate power modes: performance, optimized, and low-power. 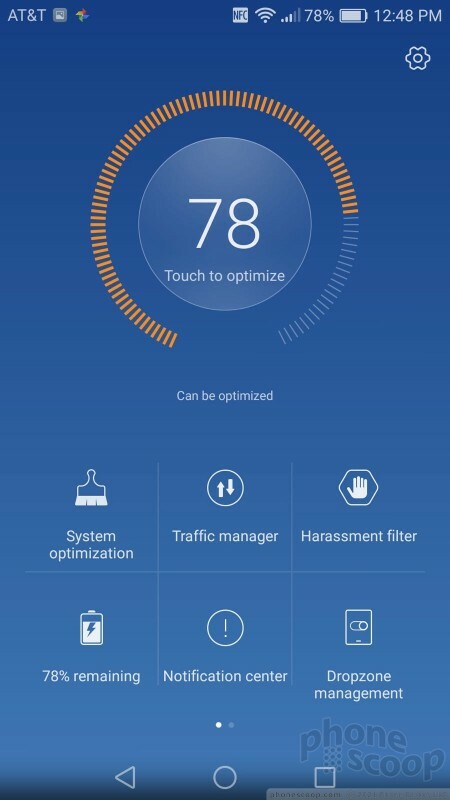 Huawei recommends people stick with the optimized setting for daily use, as it balances processor output and other settings. 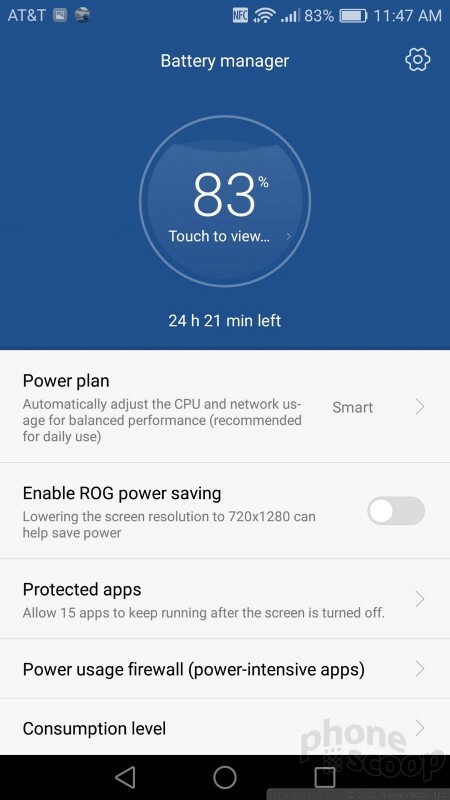 The performance setting allows the processor to ramp up to full speed for gaming and mobile video, while the low-power mode can nearly double the battery life by shutting down non-core apps. Beyond these tools, users can opt to downgrade the screen resolution to 720p HD, as well as manually control which apps are allowed to run and which aren't once the phone goes into low-power mode. 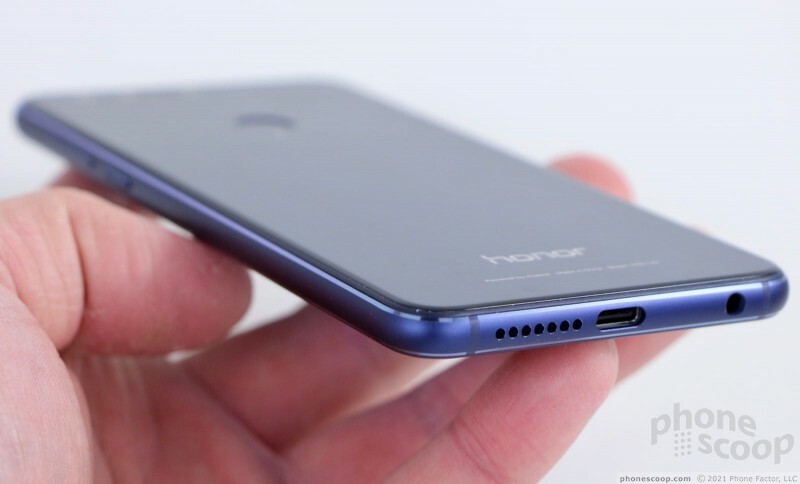 Last, the Honor 8 supports rapid charging. Huawei claims the battery can top up by 50% in just 30 minutes when plugged into the appropriate charger. The Honor 8's secondary radios worked well across the board. I had no trouble pairing the 8 with Bluetooth accessories such as headsets, speakers, and keyboards. It also connected to other phones and PCs for pushing files. Calls sent to a standard Bluetooth headset were acceptable, though not the best I've heard. Music was decent when streamed to stereo headsets and speakers, but again, I've heard better. The GPS radio works efficiently with Google Maps. Maps generally pinpointed me in under 5 seconds and was accurate to within 25 feet or so. The Honor 8 was a good real-time navigation tool and I was able to use it in the car without fail. The 8's NFC radio was helpful in pairing with some Bluetooth accessories, and it also supports Android Pay. I didn't have any trouble with the WiFi radio. Huawei's Honor brand finally has a true flagship model in its lineup, and it combines Huawei's manufacturing chops with the Honor design flair, plus true flagship specs. It has the features of the Huawei P9 (another flagship) plus a few small extras. 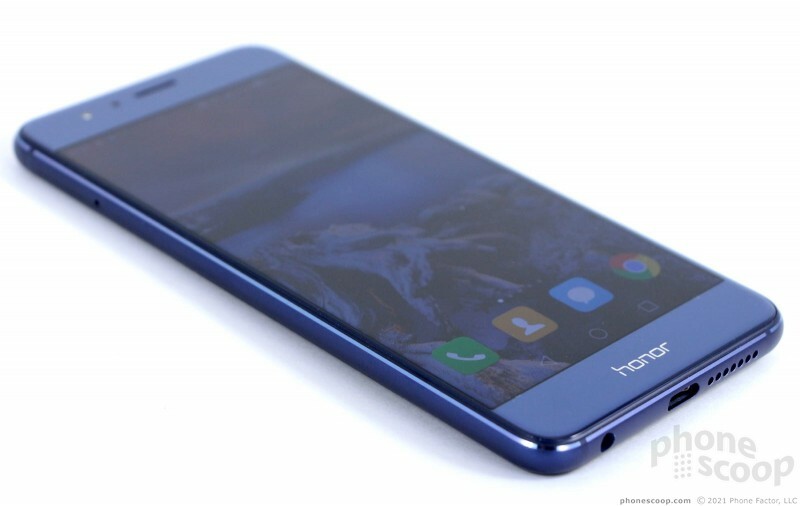 Huawei said its Honor 8 smartphone will receive Android 7 Nougat and EMUI 5.0 through an update planned for February 2017. According to Huawei, EMUI 5.0 streamlines the user interface and cuts down on the number of steps needed to reach core functions. 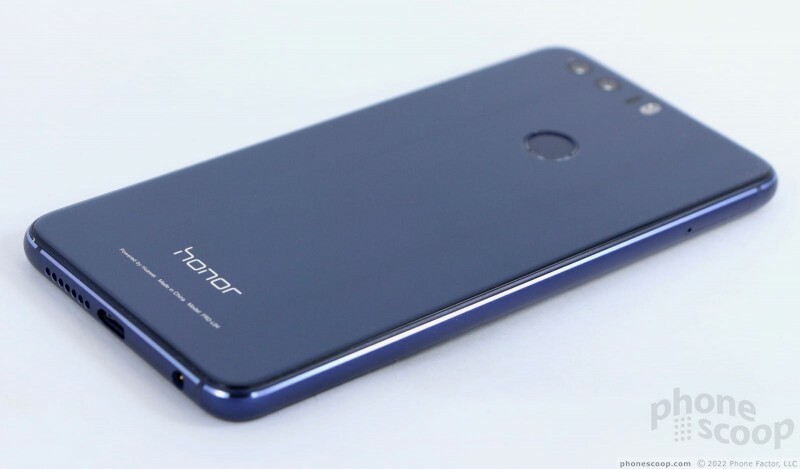 Huawei's Honor brand today announced the Honor 8, the company's first true flagship-class phone under its Honor brand. 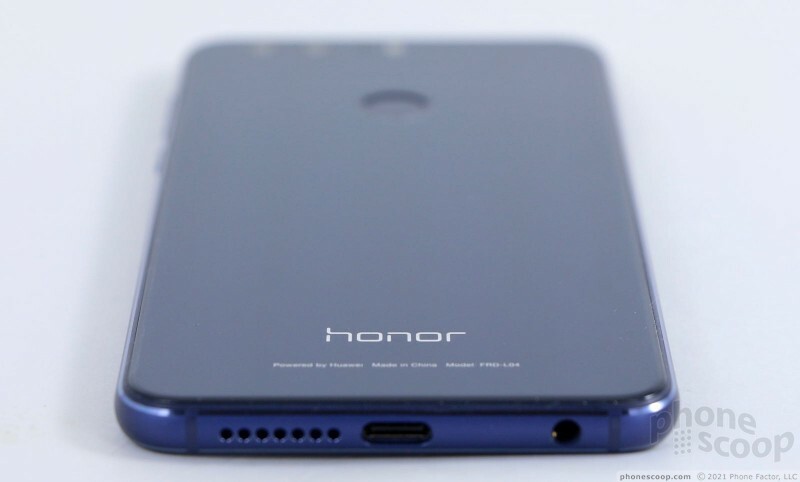 The Honor 8 has most specs in common with the well-regarded Huawei P9, the company's flagship outside of the Honor brand. A planned update to the USB Type-C specification will give it more control over audio functions, paving the way for it to fully supplant the 3.5mm headphone jack on most phones. Speaking at the Intel Developers Forum, engineers Brad Saunders and Rahman Ismail explained that the new USB audio standard lowers power usage through USB and defines how buttons on headphones can control music. If it wouldn't have been for Samsung putting out the S6, no one else would be able to make phones with this basic iPhone-esque styling. Before the S6, Apple sued companies for using these basic design style elements, the rounded corners and glass back and metal wrap frame with the drilled speaker and mic holes in the bottom. Apple didn't want to get into another legal battle with the second largest gorilla of cellular, that they might lose and potentially be on the hook for millions (again). After the S6 dropped without a suit, there are now a lot of phones that use this styling, as they should. It feels great in the hand and the slightly heavier weight of the metal frame and glass Do feel a lot more like a quality engineered device. 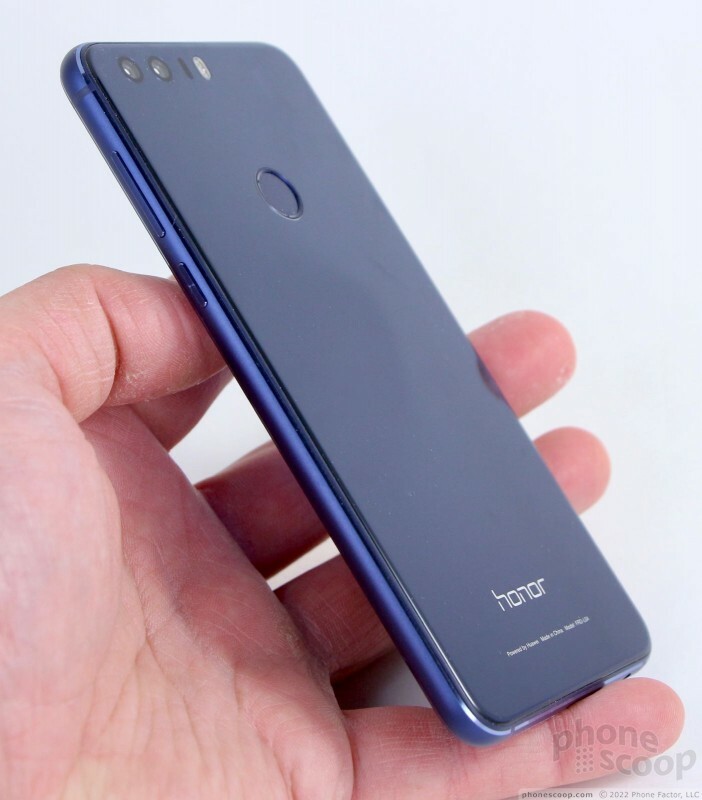 OK, and what does this have to do with the Honor 8?